It’s no secret that I love fried eggs – I do tend to put them on every possible type of leftover. 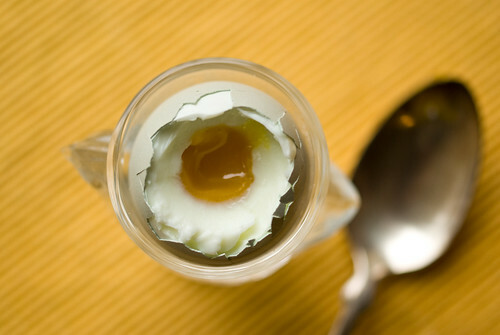 But I also love boiled eggs, and often have one for breakfast with cereal and a pot of tea. Everyone seems to have their own method for boiling eggs, and I have different methods depending on what final result I’m going for. 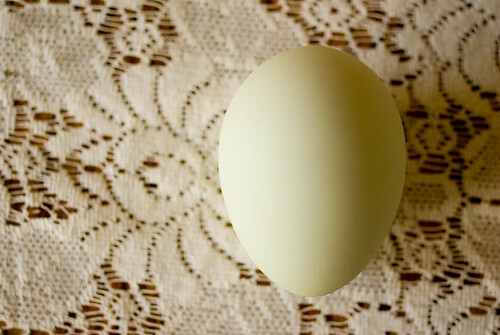 If I want them hard-boiled for making devilled or curried eggs, I use the approach of putting them in cold water, bringing the pot to a boil, then turning it off and letting it sit covered for exactly twelve minutes, then quick-chilling the eggs. But when I’m boiling an egg for breakfast, I want it soft and runny inside, with the white just set. My usual 5:30-in-the-morning technique is to pop an egg in a small saucepan, add water to cover, put it over high heat, then forget about it until I hear it bubbling. I look at the clock, then wait two minutes more before taking the pan off the heat and rinsing the egg in cold water. If I think it was on the boil for a little longer, I peel the egg and eat it out of hand. 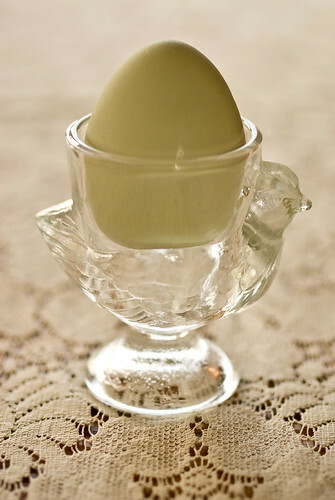 If I get the timing right, I put it in my little chicken egg cup, crack the top and eat it with a spoon (and toast soldiers, if I am so lucky as to have any). The final result depends a lot on whether I actually saw the water come to a boil or not. I suppose I could remedy this by bring the water to a boil first, then adding the egg and setting a timer, but I haven’t had as good results that way. 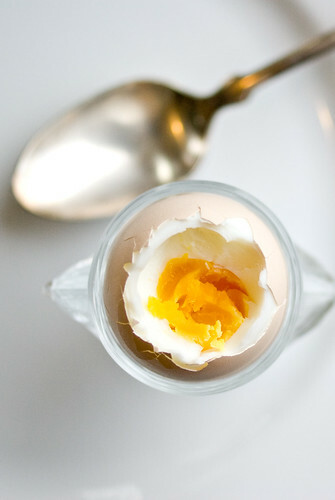 Regardless of how done it is, the deliciousness of a boiled egg depends a lot on where you get it. 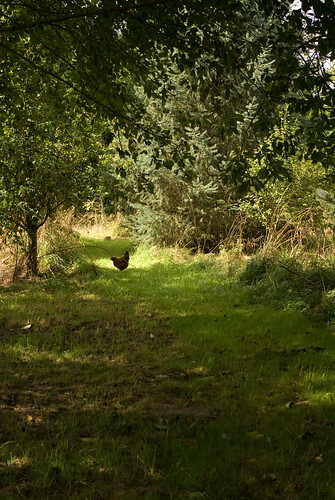 We’ve been lucky this year to have gotten eggs from some very fine, spoiled hens – first from Laura at (Not So) Urban Hennery, then from Katharine and Erik at Well Fed Farms. 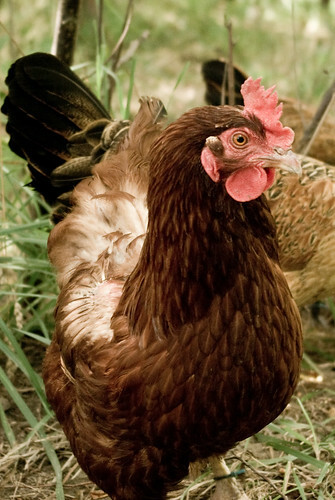 When the chicken is free to roam, eating bugs and salamanders and anything else that comes its way, you get extremely flavorful (and healthful) eggs. The kind that don’t need anything but a pan of water and a sprinkle of salt to be absolutely perfect. Sometimes it’s just so hard to stand there waiting for the water to boil that early in the morning, isn’t it? I boil eggs the exact same way. So true. I usually put the egg on first, even before coffee, then hope that I don’t forget about it completely. At least it usually starts rattling when it comes to a boil, which reminds me that I’m cooking!